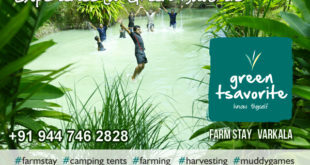 TechnoparkToday.com> It is in human nature to seek out experiences. Some thrill, some joyous, some frighten, some scare, some causes despair. But to live is to experience. People crave for a varied experience and the demand far exceeds the supply. This is the missing link in today’s mainstream tourism. Tourism should be the market of tourist experiences. For a perspective take the example of beaches. All beaches from Goa, Gokarna, to Varkala and Kovalam all produce a very similar experience. They are sunny golden all-weather beaches. What can you experience more in Kovalam that you don’t get in Gokarna or Varkala? To answer this conundrum is very difficult indeed. How to experience or to put it more poetically take the road less travelled by. 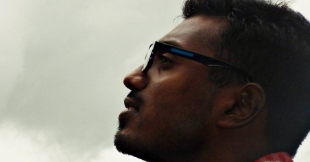 This is what troubled these youngsters from Technopark as they planned their vacation to Goa. The most cliched of destinations in India. 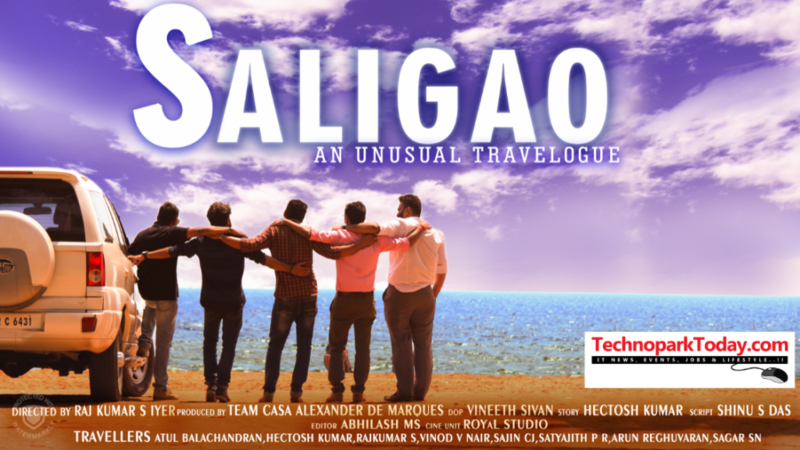 Take a look at how they plan and execute their Goa Vacation in this quirky promo of their travelogues ‘Saligao-An Unusual Travelogue’. This 1.34 min promo and the travelogue (yet to be released) itself directed by a techie Rajkumar S Iyer of Experion technologies under the banner ‘Casa Alexander de Marques’ revolves around Hectosh S Kumar, Atul Balachandran, Vinod Vikraman Nair, Satyajith, Arun Reghuvaran, Sagar and Sajin of the same company and their Goan tour. “Everybody is going for vacation trips. But for us, when the entire team though of capturing those moments adding some dramatic shades, resulted the birth of such a travelogue. IF somebody think of trips, can plan for such story-based travelogues so as to make those trips a bit different and interesting also memorable” said Rajkumar S Iyer.